I could not possibly exist with the nature I actually have, that is, one endowed with the idea of God, unless there really is a God; the very God, I mean, of whom I have an idea. I will suppose then, not that there is a supremely good God, the source of truth; but that there is an evil spirit, who is supremely powerful and intelligent, and does his utmost to deceive me. Some years ago now I observed the multitude of errors that I had accepted as true in my earliest years, and the dubiousness of the whole superstructure I had since then reared on them; and the consequent need of making a clean sweep for once in my life, and beginning again from the very foundations, if I would establish some secure and lasting result in science. I could take it as a general rule that whatever we conceive very clearly and very distinctly is true. I noticed that while I was trying to think everything false, it must needs be that I, who was thinking this, was something. 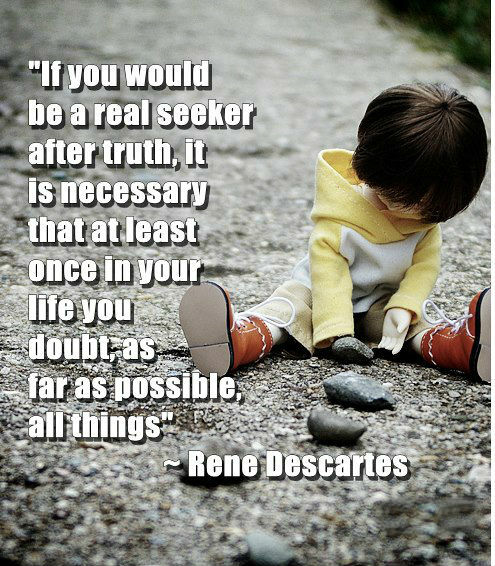 Since my present aim was to give myself up to the pursuit of truth alone, I thought I must…reject as if absolutely false anything as to which I could imagine the least doubt, in order to see if I should not be left at the end believing something that was absolutely indubitable. Good sense is the most fairly distributed thing in the world; for everyone thinks himself so well supplied with it, that even those who are hardest to satisfy in every other way do not usually desire more of it than they already have. In this matter it is not likely that everybody is mistaken; it rather goes to show that the power of judging well and distinguishing truth from falsehood, which is what we properly mean by good sense or reason, is naturally equal in all men. The reading of good books is like a conversation with the best men of past centuries—in fact like a prepared conversation, in which they reveal their best thoughts. I desire to live in peace and to continue the life I have begun under the motto to live well you must live unseen. When it is not in our power to determine what is true, we ought to follow what is most probable. Common sense is the best distributed thing in the world, for everyone thinks he is so well-endowed with it that even those who are hardest to satisfy in all other matters are not in the habit of desiring more of it than they already have. 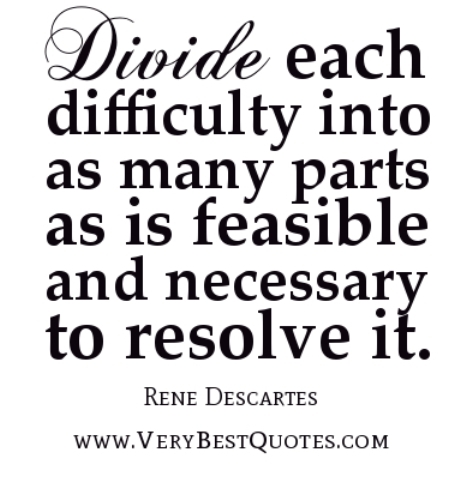 René Descartes was a French philosopher, mathematician, and writer who spent most of his adult life in the Dutch Republic. 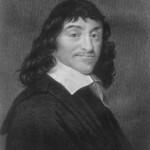 He has been dubbed the 'Father of Modern Philosophy', and much subsequent Western philosophy is a response to his writings, which are studied closely to this day.